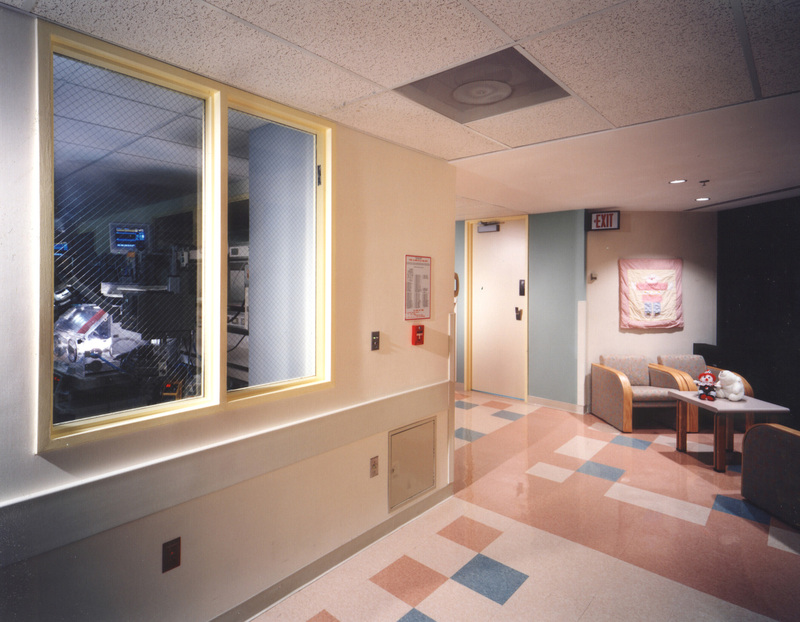 Pennsylvania Hospital’s Intensive Care Nursery was expanded in a phased project to create a 50-bed unit with flexible headwalls. 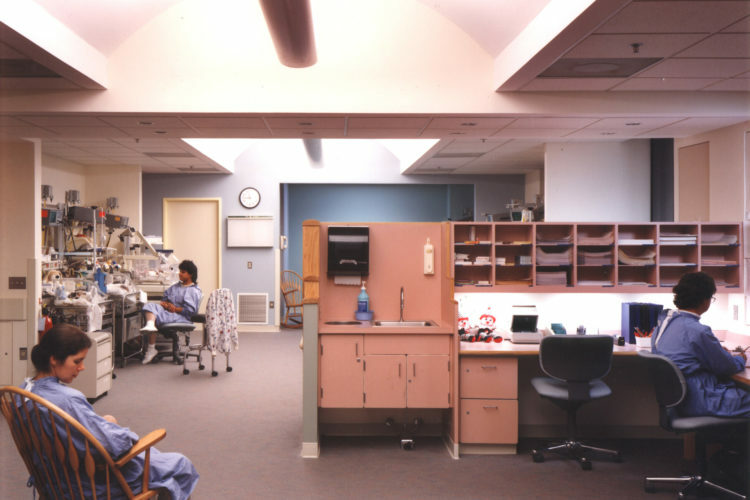 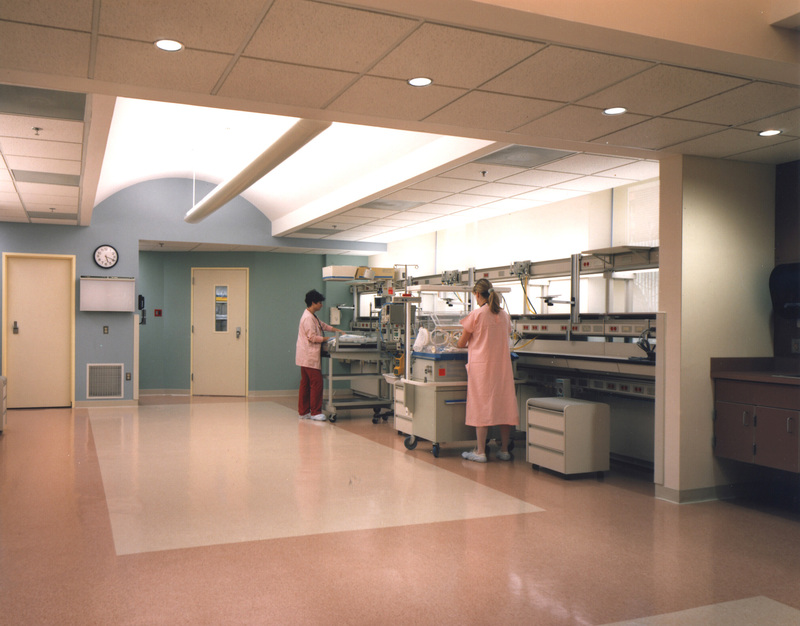 In addition to nurses’ stations, support spaces include satellite pharmacy, respiratory workroom, family rooms, offices, and utility rooms. 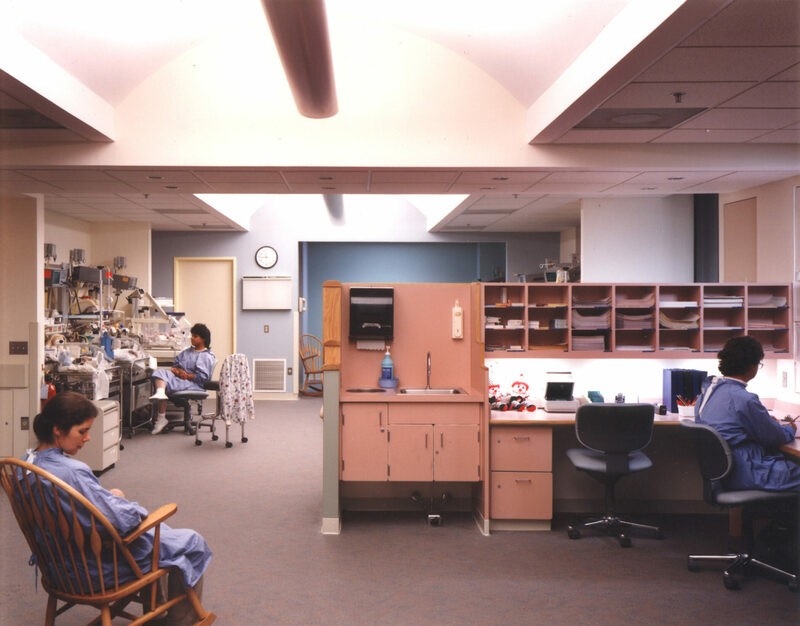 A companion project created new spaces for staff functions including physician offices, lockers/lounges, conference spaces and on-call rooms.